For instance, a company can also deliver customer value through down-sell and usage stimulation. Consider a Bank that, instead of sending more product cross sales offers, sends credit cards to customers and offers to increase in their credit limit. They know that, on average, when a customer’s credit limit goes up they will use at least some of that extra limit. This then is usage stimulation: same product, more sales. How might you apply this thinking to your own business? 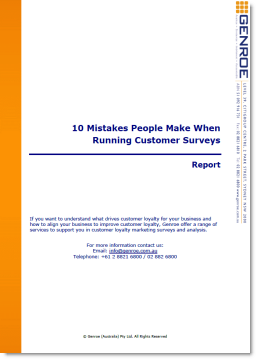 The second way to increase customer lifetime value is by retaining customers for longer. It is true that it costs a lot less to retain a customer than to acquire a new one so it is well worthwhile to spend some extra effort to retain the right customers. Customers tend to “leave” because of another product or service that has a feature which they believe you do not have, even if you do. If you have a “moderately complex” product or service, it can be well worthwhile to educate customers about it. Whether you know it or not, you’ve probably been through a “save team” or customer retention process. If you have ever asked to cancel your mobile phone contract, then it is almost certain that you have been put through to another department to process the cancellation. That department is normally a specialized Save team. Save teams are trained to keep customers and often have access to better offers and incentives to help the process along. The key to implementing effective strategies for delivering customer value is in selecting combinations of approaches that give you synergistic impact on customer value. For example, combining cross sell, upsell and customer education in one campaign. With a single campaign you can support and enhance the customer perception of your organization and increase customer loyalty. Select practical strategies that can be implemented by your company and take into account your company’s systems abilities. For example, do not select strategies that require significant investment in systems changes with the associated high costs or long implementation cycle. Rather, select strategies that can be easily and quickly translated into initiatives that can be implemented with current systems. Determining the appropriate time to contact customers, and selecting the most appropriate communications channel is important. Do not base the timing on what is appropriate for the company. Instead, look at what the customer would want. Ensure that you consider customer value according to both their current and potential spend with your organization. A low value customer may be “low value” to your organization and extremely profitable to your competitor as majority of their spend is not with you. This is where the idea of share of wallet becomes so important. You have asked a very large question and not one that can be answered in a blog comment. I’ll contact you separately. How do we retain customer value? Thank you for the sharing! Hope to ask you more questions about our ongoing business target. Good points Adam, Down-sell is a new thing for me to get introduced from your blog. Nice to read. I think, getting loyalty of customers good customer experience is important. According to research by American Express, about 60% of customers are more likely to buy and visit more for a better experience. So, it needs to successfully implement a customer experience strategy to achieve higher customer satisfaction rates and to increase revenue.